Learn how to write sentences in German, complete lesson. Includes overview of German direct objects, German indirect objects and German prepositions. Understanding grammar will help you on your way to foreign language fluency. In the German language, word order differs greatly from that of English. These differences will be explained in the following pages; for this reason, and in keeping with the rest of this text, a literal, word-for-word translation is provided for most of the German example sentences. This will allow you to better understand how sentences are structured. 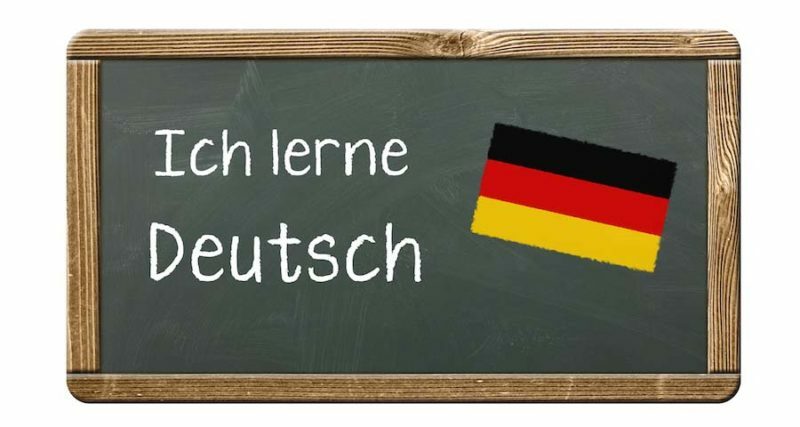 This word order may seem somewhat odd at first, but this approach is very systematic and is designed to help you better understand a few simple rules of German sentence structure. Four general rules cover the position of almost all the verbs which you are likely to see when learningthe German language. As is the case with most languages, all rules are meant to be broken, but the following serve as a good starting point for your understanding. Subject + modifiers — main verb (+adverbs, if applicable) — objects + phrases. I have rented a bicycle. — lch habe ein Rad gemietet. I have a bicycle rented. You must take a detour. — Sie müssen einen Umweg machen. You must a detour make. Mr.Meier can help you. — Herr Meier kann Ihnen helfen. This rule applies to instances when a question is asked, and it is very similar to word order for English question sentences as well. For the most part, sentences like these can begin with a question word or with a verb. Can I rent a car here? — Kann ich hier ein Auto mieten? Can I here a car rent? When did you arrive? — Wann sind Sie angekommen? This rule has no real parallel in modern English, although older, poetic English may occasionally contain examples of it. In the simplest of terms, any time a sentence or clause begins with anything other than the subject, that first word is followed immediately by a verb. The subject follows the verb, then come objects and adverbial constructions. We drank some wine at the restaurant. — Im Restaurant haben wir Wein getrunken. In the restaurant have we wine drunk. Yesterday we were in Berlin. — Gestern waren wir in Berlin. Yesterday were we in Berlin. He says that the have no vacant rooms. — Er sagt, dass kein Zimmer frei ist. He says, that no room vacant is. I don’t know whether peoplecome today. — Ich weiss nicht, ob heute Leute kommen. I know not, whether today people come. There are two simple ways to negate a statement and turn it into a question: one is by inverting the word order, and the second is by starting with a question word. Forming questions by inverting the word order means you place the verb first in the sentence, as in the examples below. They arrive today. — Sie kommen heute an. Dothey arrive today? — Kommensie heute an? Tina has money. — Tina hat Geld. DoesTina have money? — HatTina Geld? The second way to form questions is to use a question word. Below is a list of the more common question words in German. I can sing. — Ich kann singen. I cannot sing. — Ich kann nichtsingen. I have money. — Ich habe Geld. I have nomoney. — Ich habe kein Geld.